Taublieb Films came to Portland, Maine from Malibu, California a couple weeks ago to film us. Our family will be part of Special Olympics 50th Year Anniversary documentary-short film series produced in collaboration with ESPN. Thorin has loved Special Olympics since he was 9. Most of his other activities are inclusive– which means he is usually the only kid with a visible disability and almost always the only kid with Down syndrome. Special Olympics has been an important community for Thorin. Dave saw Thorin– who has Down syndrome– was like him. And- that has been the entire point of my writing about our lives for the last eight years. How did we get to be a part of this surreal moment? Not entirely clear but super grateful to contribute. Our story is part of a segment titled ‘Parents With A Megaphone.’ The film is about three parents who have children with Down syndrome and are advocates. The real stars of the short film are Gail Williamson — Jamie Brewer’s agent among many other actors and John C. McGingley notably from Scrubs. If interested in seeing us click here now! 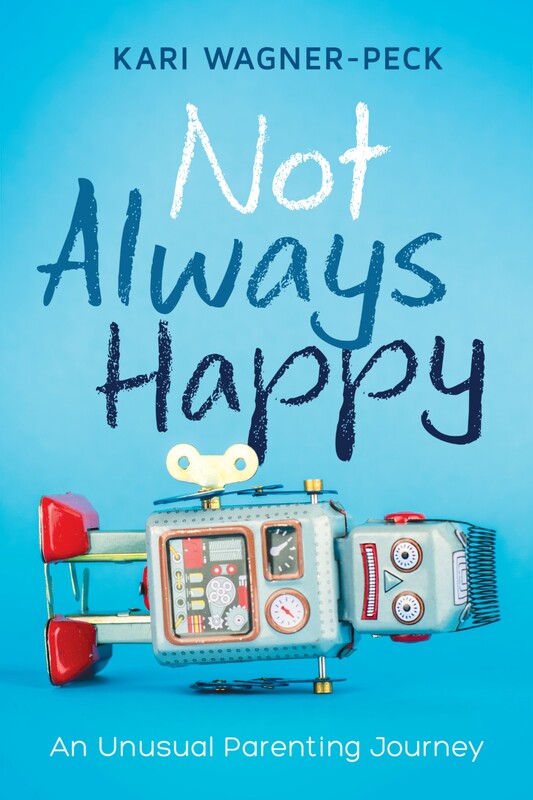 If you are new here please explore and check out my book, Not Always Happy.